Did you know that the Pritzker Legal Research Center provides access to numerous legal analytics tools? 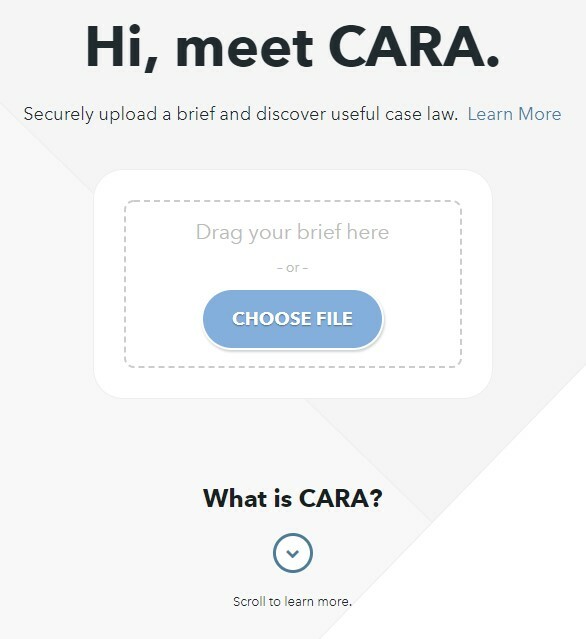 Researchers can use these tools to, among other things, (1) learn more about the writing and decision patterns of judges, (2) review the litigation portfolio of law firms, and (3) make sure their briefs and memoranda are not missing any important cases or citing cases that have been reversed. In this post, I will describe a few of these tools in detail and explain how to access them. 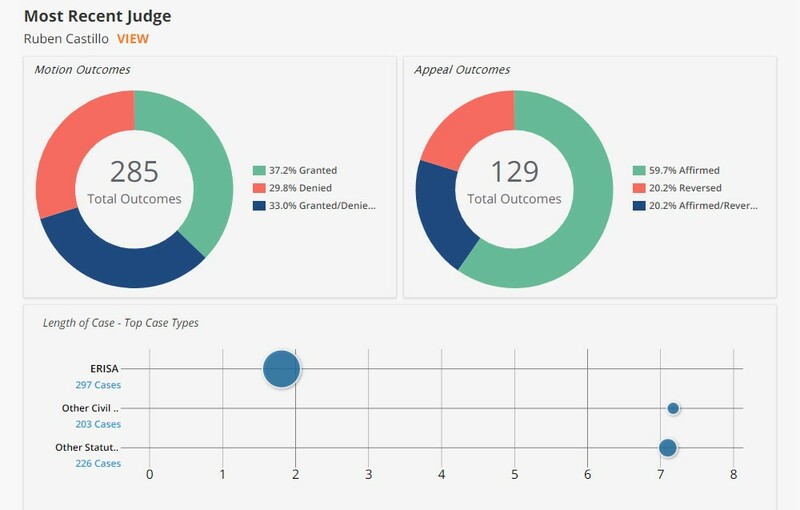 Ravel Judge Analytics, available at https://www.ravellaw.com is a resource that allows you to review all of a judge’s opinions on a particular topic, as well as the other opinions, courts, and judges she cites most frequently. This information is available for every U.S. Supreme Court, U.S. Court of Appeals, and U.S. District Court judge ever appointed, sitting U.S. Magistrates and U.S. Bankruptcy Court judges, as well sitting state appellate court judges for cases from 1999-present. Using this site to research Judge Jorge Luis Alonso of the U.S. District Court for the Northern District of Illinois, for example, we can isolate his 40 opinions on employment law issues, 4 of which contain the phrase “hostile work environment.” We can also learn that, in employment law disputes, Judge Alonso has granted 52% of summary judgment motions and, in his opinions on these motions, he has most often cited Anderson v. Liberty Lobby, Inc., 477 U.S. 242 (1986). To access Ravel Judge Analytics, visit https://www.ravellaw.com and select “Sign Up” in the top-right corner. Make sure to create your account using your Northwestern Law email address. 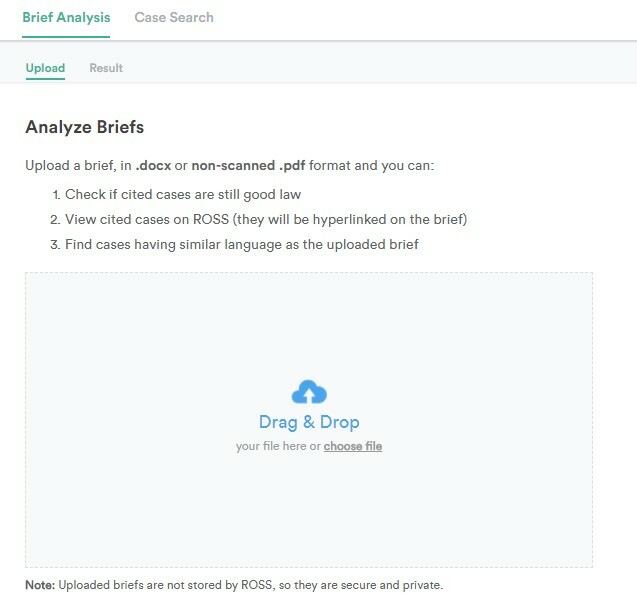 A second useful resource is Bloomberg Law’s Litigation Analytics, available at https://www.bloomberglaw.com/product/blaw/litigation/analytics/new. Using this tool, researchers can obtain data-driven insights for companies, law firms, and judges. For example, a search for Tesla, Inc. reveals that both Morrison & Foerster LLP and Wilson Sonsini Goodrich & Rosati PC have represented the company in litigation. A search for Kirkland & Ellis LLP, meanwhile, shows that the firm has represented BP extensively in federal litigation. Finally, a search for Ruben Castillo reveals that he has been affirmed on appeal 59.7% of the time, has presided over 297 ERISA cases, and that those cases last, on average, 55 days. The link provided above will take you directly into Bloomberg Law Litigation Analytics after you provide your username and password. If you’ve yet to create an account, you can do so at https://www.bloomberglaw.com/activate, using your Northwestern Law email address. In a recent blog post, Jean O’Grady, Sr. Director of Information, Research & Knowledge at DLA Piper US, LLP, posited “in five years legal analytics will become a core competency demanded by state bar associations – similar to the recent adoption of standards for technology competence in many states.” Jean O’Grady, LexisNexis Acquires Ravel Law: A Tipping Point for Legal Analytics and the Second Wave of Legal KM, Dewey B Strategic (June 9, 2017), http://www.deweybstrategic.com/2017/06/lexisnexis-acquires-ravel-law-tipping.html. Whether or not Ms. O’Grady’s prediction comes to fruition, patrons of the Pritzker Legal Research Center will increasingly have access to advanced tools that provide data-driven insights.